Pestering kills Kamiya's interest in Star Fox. STAR FOX FOR WII U CONFIRMED!!!!! New SF643D Trailer, Screens, Date? 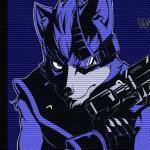 RUMOR: The Year of Star Fox? Australian Government classifies SFZ "PG," mentions online interactivity. starfox news The Battle Begins OFFICIAL STAR FOX ANIMATION!